petrescuesaga | Pre-views, level help, tips and videos for ALL Facebook King levels! Pet Rescue Saga Level 1310 – BUG IN THE LEVEL!!!! 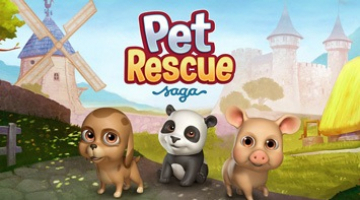 Pet Rescue Saga Level 1310 with tips and tricks by the helpful Pet Rescue Saga Help Group Admins and active Members. and get at least one star to complete Pet Rescue Saga Level 1310. Pet Rescue Saga Level 1310 DEMO SOLUTION with visual tricks and tips for you to solve Pet Rescue Saga Level 1310 yourself! Sharing this video with you to show, after 1 hour of gameplay, Pet Level 1310 has a bug. Even if you get 20 block combo and clear 100% of the blocks which will give you 3 stars score, game will say you don’t have enough points!!! Kind regards, Blogging Witch LeaP.S. share this post to help others!!!!! In last 2 weeks, we had 2 events where a player needed to play 10 levels and get boosters as a reward – NICE! Thank you, King! 3/6/2015. Sorry, I don’t have a video for level 7 – had problems with recording problem.